Full Name: Eduardo Pérez de Lema Holweg. Place and date of birth: April 20, 1971, Madrid. Degree in Business Management and Administration (Pontifical University of Sala-manca). CEO and Chairman of Management Committee of MAPFRE RE (since November 2015). Member of the Executive Committee of MAPFRE S.A. (since November 2015). General Manager of MAPFRE RE (2011-2015). 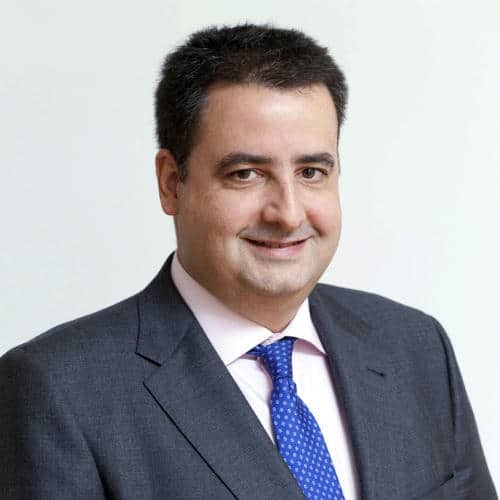 Deputy General Manager of MAPFRE RE (2008-2011). Assistant General Manager of MAPFRE RE (2005-2008).